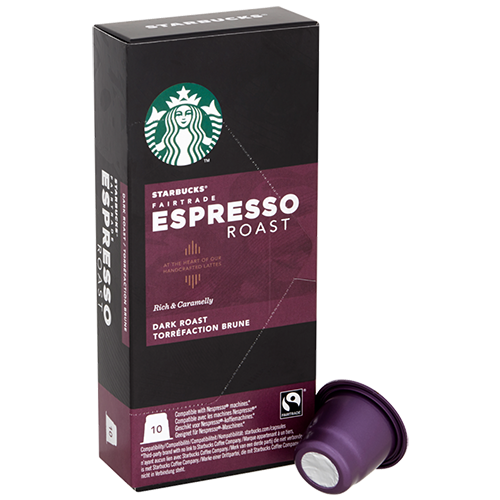 Starbucks Coffee Espresso Roast coffee capsules compatible with Nespresso emerged when Starbucks began to search and experiment to find the perfect combination of coffee beans and roasting. The search ended several months later with the result: Espresso Roast. A blend of a dense, caramel-like sweetness and soft satisfying taste that is so right that it has never changed since.